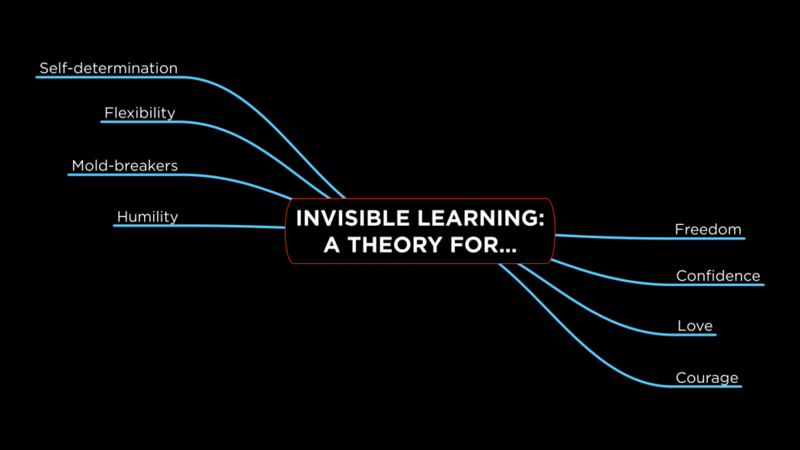 Note: This is the second of a three-part series on a new theory for invisible learning. When Cristóbal Cobo and I set out to write the book Aprendizaje Invisible (“Invisible learning”) five years ago, we sought to take a 360° and 3D view of the educational landscape—with an eye toward the future. We found the gap between formal learning and informal and non-formal modes of learning is becoming increasingly apparent. We initially structured invisible learning as a metatheory, which recognizes that most of the learning we do is “invisible” —that is, it is through informal, non-formal, and serendipitous experiences rather than through formal instruction. We learn alone, or in a group, through individual and shared experiences. We learn more through experimentation, exploration, and through the consequences of enabling serendipity. Even though we cannot measure the knowledge in our heads, the consensus is that the vast majority of our knowledge is developed through invisible or informal means (see esp. this classic article by Jay Cross). The Theory for Invisible Learning is that we learn more, and do so invisibly, when we separate structures of control that restrict freedom and self-determination from learning experiences. The purpose of controlling an educational experience is to make learning visible. It is built on distrust of the learner – the false assumption that students will not learn unless they are told what to learn. In this sense, invisible learning is the end product of a theory which predicts that learning may blossom when we eliminate authoritarian control or direction of a learning experience by an “other” (i.e., teacher). Removing structures of control opens possibilities. The end outcomes or goals of an experience are neither dictated nor determined from the start, but instead emerge as learning develops. Such experiences include free play, self-organized learning communities, authentic problem-based learning, and experimentation to acquire new knowledge. A Theory for Invisible Learning is focused on the development of personal knowledge: blends of tacit and explicit elements that embrace a portfolio of skills such as cooperation, empathy, and critical thinking as much as retaining facts. The implication is that there is no master template for enabling invisible learning, but rather we need to attend to the formation of an ecology of options for individuals to find their own ways. This suggests a growing need for bottom-up approaches to learning. By removing the rigidity of top-down control, and placing trust in learners, invisible learning can be made visible.